He has a reputation of being the big bully in Sakimori Academy. Despite this reputation, he is incredibly determined to protect everyone against the invading Dorssian military forces. 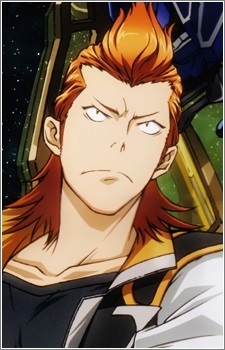 He became the pilot of Valvarave Three (Hikaminari) to avenge his friend who died due to the Dorssian attack. Later, Yamada named his Valvrave "Nobu Lightning." Based on his dead friend's name and his own title.